At Toledo Molding & Die we understand what you’re up against. Competition is fierce, and timing is everything. Our in-house engineers work tirelessly to perfect every facet of the tooling build process from efficiency to competitive pricing. Our multi-stage system utilizes the industry’s leading design software programs, and requires numerous reviews to address manufacturing concerns, improve cycle times, and decrease maintenance costs. The tooling process at TMD has been honed during decades of experience. 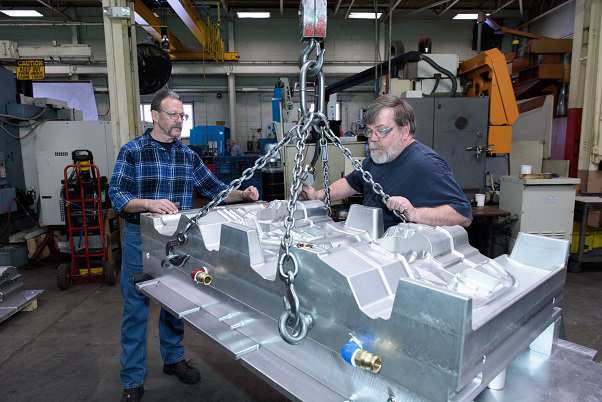 We’ve listened to the needs of our customers and have taken into account your unique product, budget, and clientele; and have developed an efficient, high caliber tooling build process including project management and quality control excellence. All of which translates to an advantage over your competitors and loyalty from your customers. Contact us to get an in-depth look at our tooling capabilities.